The Borough Office is located at 104 N. Abington Road Clarks Green PA 18411. Office phone number is 570-586-4446. Office hours are Monday 9 am to 3 pm, Tuesday 9 am to 4 pm, Wednesday 9 am to 3 pm, Thursday 9 am to 4 pm and Friday 9 am to 3 pm. The office is closed for the following holidays; New Year’s Day, Martin Luther King Day, President’s Day, Good Friday, Memorial Day, Independence Day, Labor Day, Thanksgiving Day and the following Friday, Christmas Eve (1/2 day-close at 1 pm), and Christmas Day. Joe Barrasse, Council President; Keith Williams, Council Vice President and Personnel Chair; David Rinaldi, President Pro Tem and Health and Safety Chairman; Alan Hughes, Finance Chairman; M.J. Igoe, Refuse and Recycling Chair; Joe Dougherty, DPW Chairman; William Toms, Building and Grounds Chairman; Patty Lawler, Mayor. Borough Council Meetings are the third Wednesday of each month at 7 PM while Work Sessions are scheduled for the first Wednesday of each month at 7 PM. There is a ban on overnight parking effective from November 1 to April 1 between the hours of 12:00 midnight and 6:00 a.m. Streets must be kept open for snow plowing! 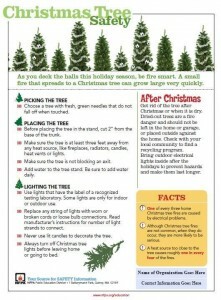 Don’t turn a holiday into a tragedy. Practice Christmas Tree safety. School is back in session! Please protect the safety of all pedestrians by slowing down and obeying the speed limit. Borough streets have a 25 mph speed limit, which will be enforced! Stop for pedestrians in crosswalks. Residents are reminded to remove snow and ice from sidewalks within 24 hours after a storm. Please do not shovel snow into the roadway. Residents who contract for snowplowing services should instruct the contractor not to pile or push snow into or across the roadway. If you vacate your home during the winter, make arrangements to have your sidewalks cleaned in your absence. Law of Physics: Our DPW crew is not intentionally moving snow into your driveway when they plow. Blocking your driveway in their attempts to keep the roads free of snow is unavoidable, but the extra shoveling is a small price to pay for clear, safe roads. Please help them do their job by keeping your vehicles off the streets and your trash cans safely out of the plow pathway until streets are cleared. Refuse and Recycling Pick Up: Pick-up or billing questions should be directed to County Waste at 570-685-7000. By ordinance, all residents are required to participate in County Waste’s collection services. This is the case regardless of how many people occupy your household or whether you spend a portion of the year away from your home. Trash and recyclables are picked up each Friday morning. Please put out trash receptacles after dusk Thursday evening for Friday pick-up. Please remember to bring your empty receptacles in promptly. Please keep garbage cans off the street. Refuse and recycling pick up will be delayed one day when a public holiday occurs during the week. (New Year’s Day, Memorial Day, 4th of July, Labor Day, Thanksgiving, Christmas) Chapter 20 Part 1 of the Code of Ordinances of the Borough of Clarks Green regulates Solid Waste Collection and Disposal. Trash and Recycling containers are provided to residents free of charge by County Waste. Remember, the receptacles are the property of the hauler. Call the County Waste office if you need containers. Plastic food containers, aluminum and steel cans, and clear and colored glass along with paper and cardboard can all be co-mingled in the designated recycling containers. Lackawanna County’s Recycling Center lessee, Lackawanna Recycling, Inc. is now accepting electronics, pallets, and large plastic containers or tubes with tops or lids. Cardboard can also be dropped off in the dumpster behind the Borough building. The dumpster suitable for the cardboard is labeled specifically for this purpose. 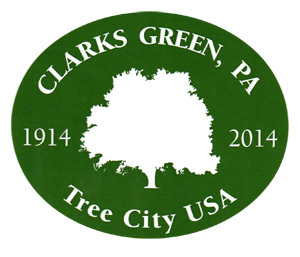 © 2019 Clarks Green Borough. All rights are reserved.